The vanilla bean market can be divided mainly on lines of its application and distribution channel On the basis of application, it is segmented into food processing, cosmetics, medical care and others. Among all, food processing accounts for largest share in the global vanilla bean market. This is because of the increasing demand for flavored foods from consumers. Based on distribution channel, the global vanilla bean market is segmented into hypermarkets & supermarkets, food specialty stores, pharmacy, cosmetic discounters and others. Among these, hypermarkets and supermarkets segment is expected to dominate the global vanilla bean market owing to the high footfall. A report on the global vanilla bean market is expected to offer an in-depth understanding of the vanilla bean market. It contains vital data received from industry experts and industry participants across the value chain. In addition to this, it throws light on several factors associated with the growth of the global vanilla bean market. 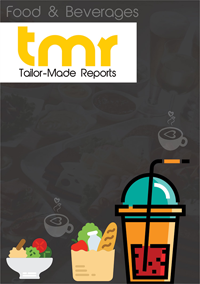 The competitive landscape, historical data, market segments, and regional outlook mentioned in the report will help readers have a better understanding on pivotal aspects of the vanilla bean market during the forecast period. Apart from this, the report also features parent market trends, macro-economic indicators and factors governing growth. Vanilla beans are widely used in the food and beverage industry for their aromatic flavor. Apart from flavor, vanilla beans are also preferred for its rich antioxidant content by consumers. There are several benefits of consuming vanilla beans, which includes acne prevention, weight-loss, and hair care. Owing to its promising results in helping weight-loss, vanilla is incorporated in protein powders targeting fitness enthusiasts. The increasing demand for natural vanilla is likely to drive the global vanilla bean market. The main obstruct in the growth of the global vanilla bean market is increasing prices of vanilla. Owing to this, key players in end user industry are suffering with price fluctuation. However rising demand of vanilla products among consumers across the globe is estimated to drive the growth of the global vanilla bean market. On the basis of geography, the global vanilla bean market is segmented into North America, Latin America, Western Europe, Eastern Europe, Asia Pacific, Japan and Middle East & Africa. Among these, Asia Pacific is expected to dominate the market share of vanilla bean market due to high consumption vanilla based products in the region. Africa is projected as the key supplier of vanilla bean. Key players in the vanilla bean market are focusing to incorporate technologically advanced equipment to cater to growing demand among consumers. Some of the key players operating in the global vanilla bean market are tharakan and Company, Amadeus, Vanilla Food Company, Boston Vanilla Bean Company, Nielsen-Massey Vanillas, and Agro Products & Agencies.